BIM is spreading fast within the construction industry. This trend will remain growing for at least five years, according to an article published on BIMCommunity. We can easily be talking about USD 10.36 billion by 2022, so the need to get the proper training with this methodology has become a priority. In countries like the UK, Norway or Finland, BIM is already mandatory for public projects. In Spain, BIM will be implemented by the end of the year for edification and by 2019 for infrastructure public projects. For that, most of the companies have invested in this tool aiming to improve their performance in the planning, design and construction phases. With this new paradigm, it is not uncommon to come across a lot of companies looking for BIM profiles worldwide. Fulfilling the Government requirement has become the main need. However, the advantages provided by the digitalization of the construction process have opened a new scenario for companies. The BIM competition has begun and you can benefit from it. 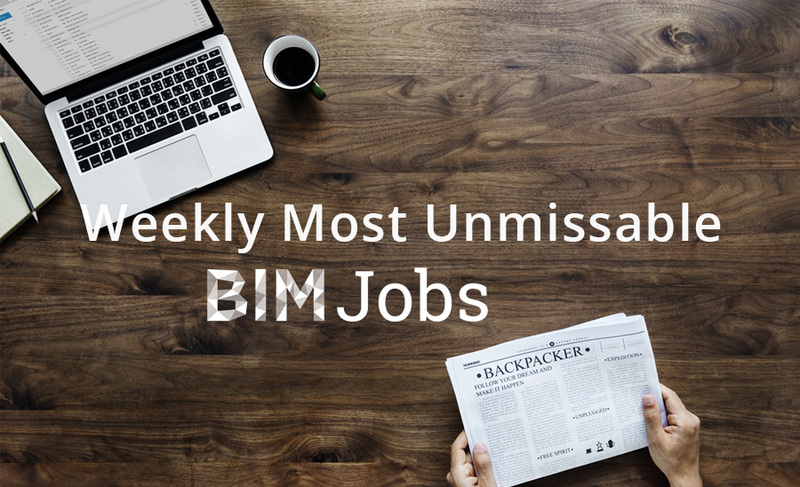 We have gathered a compilation of the best job positions currently available in BIMCommunity. You can take a look at the requirements and apply if you think you're the profile they're looking for. BIM Project Manager, Network Recruiting Inc.
Be sure you're in the right network: If you didn't notice, BIMCommunity is now divided into 6 new areas: Europe, Middle East, España, Brasil, Latam and India. Joining the proper network will allow you to connect with profiles from your same region, increasing the chances to grow better relationships quicker. Your profile represents you 365 days a year: It might seem obvious but we forget most of the times. Your online profile represents you 24/7 so it is important to keep it updated and attractive so the proper company finds you. By adding a professional picture, a link to your most recent projects and small abstract about your professional profile, can increase your opportunities up to 50%. Keep in mind these questions when you're talking about yourself: what are your strengths? What makes you stand out from other candidates? What are the tools you master the most? Be patient and consistent: Yeah, it's quite obvious but Rome wasn't built in a day. If you're planning to get the proper job you have to be ready to spend a lot of time growing your network, especially in social environments like social media or forums. BIMCommunity is the perfect place to meet people with your same interests and who knows, maybe it will be the start of a collaboration in a great BIM project.